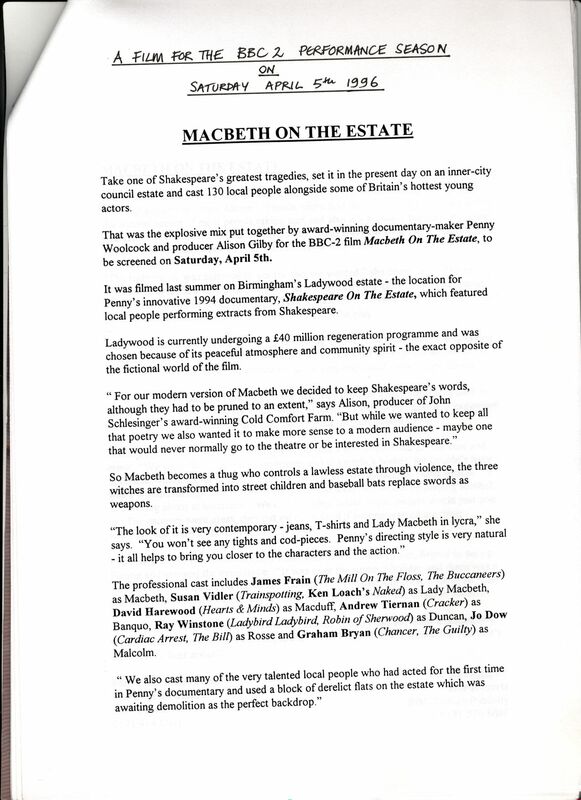 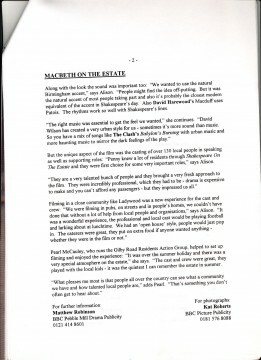 Thanks to costume designer, Janice Rider, for making this publicity brochure for the 1997 drama Macbeth on the Estate available. 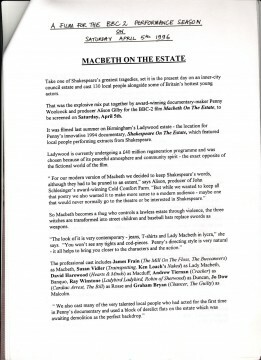 The modern day adaptation of the Shakespearian play was set on the Ladywood Estate in Birmingham. 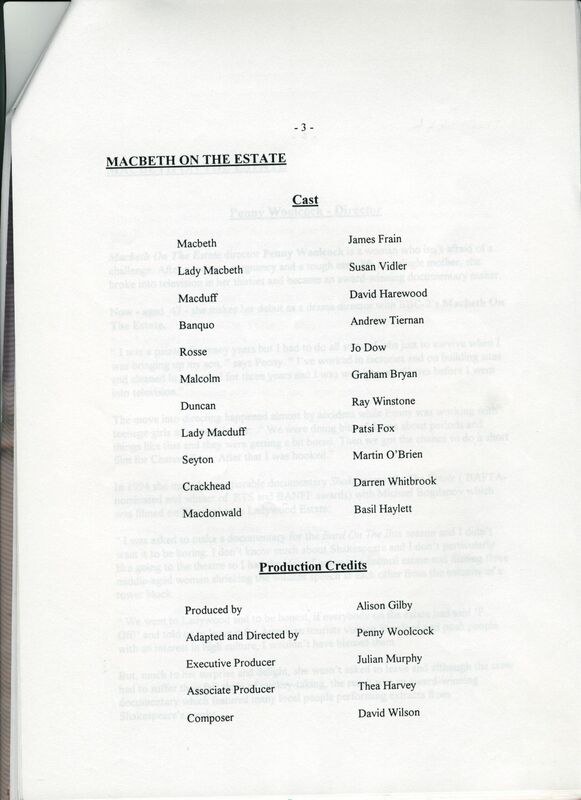 The drama starred, James Frain as Macbeth, Susan Vidler as Lady Macbeth, David Harewood as Macduff, and Ray Winstone as Duncan. 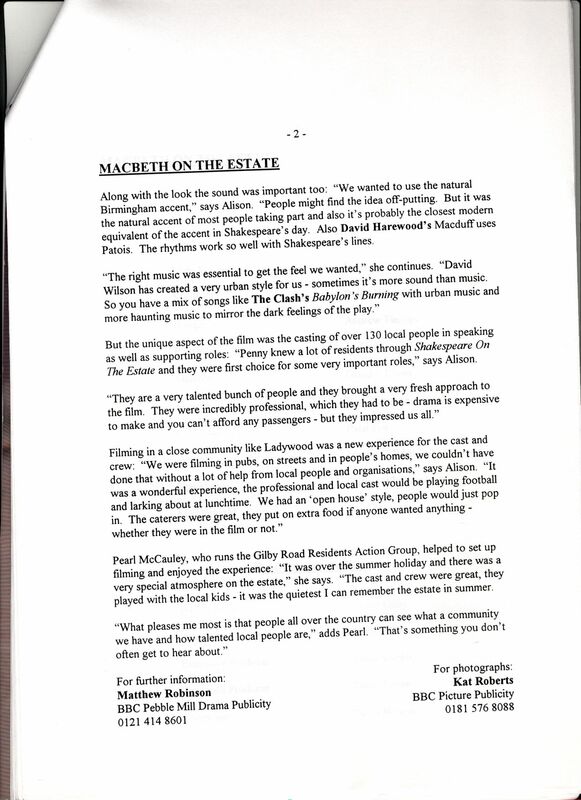 Alison Gilby was the producer, Julian Murphy the executive producer, Thea Harvey the associate producer and David Wilson the composer. 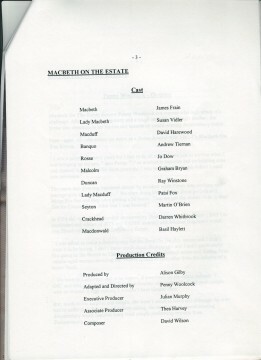 Penny Woolcock adapted and directed the drama.